January | 2015 | "It's Only Nuts & Bolts"
So that was 2014, and what a year it was! Like many people who write blogs or diaries, I tend to do a post at this time of year as a retrospective and also to set out a few plans that I may have in place. As a starting point I like to read my blog from this time last year to see how I have done. Well it is safe to say that most, if not all, my plans for 2014 didn’t happen. I had hoped to go back to Norway – not done. I wanted to travel up through the high passes in the Alps – nope, not done. I wanted to continue with the personal challenges I had stated during 2013 – failed! There was the possibility of a trip to Australia – and what a trip it turned out to be!! Back in February it was finally confirmed that the trip to Australia was going to happen. Within a week the trip was confirmed, visa approved, flights booked and I was on my way to Sydney. Initially for two weeks, but at the end of March I was on my way down under again and this time it was for seven weeks. The longer trip allowed me to really explore Sydney and the surrounding areas. The timing also meant that Lauren could join me for just under four weeks which was a real bonus. Back in the UK there were a few trips out with Lauren and I also finally started to learn to fly a microlight. Something I had been thinking about for a long time. 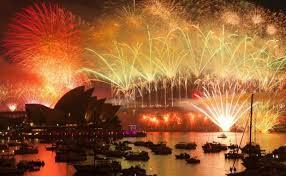 The year ended with another couple of months in Sydney. During these last two trips I also got the chance to visit both Canberra and Tasmania. From never having been to Australia I have now spent over four months there. A significant disappointment during the year was the announcement that my team, London Wasps, were to move 80 miles north to the Ricoh Arena in Coventry. The deal makes very sound business sense but as a supporter I felt, and continue to feel, that the way the existing fan base were treated was unforgivable. One or two statements from a particular player, who so it happens was born in Coventry, only compounded these feelings. I have been to the new ground once and will give it another go, but many of the promises appear simply to have been untrue – better parking, better access to and from on match day, better facilities. The atmosphere just was not the same as far as I was concerned, it didn’t feel like our home ground, and so my regular attendance at home matches may now be over. Finally I would like to thank all those who read my posts and especially the 74 people out there that follow my blog. I hope that you stick with me through the coming months and enjoy the ride. 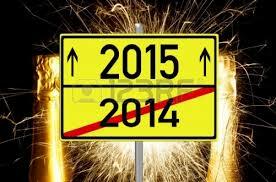 Very Happy New Year, I hope 2015 is everything you want it to be. This is my final weekend in Sydney for this trip, and probably quite a while, although of course I have said that before. I decided to spend Saturday in the city; some final shopping and a little sight seeing. The weather was wonderful so needed to be enjoyed, all too soon I will be back in the cold of home. As I walked around the Opera House from Circular Quay I could see there was a sailing competition taking place out in the harbour. The boats were very big and moving at quite a pace round what appeared to be a very small course. I continued to walk around the water front towards the main spectator area at Mrs Macquarie’s Chair and found somewhere to watch the action. 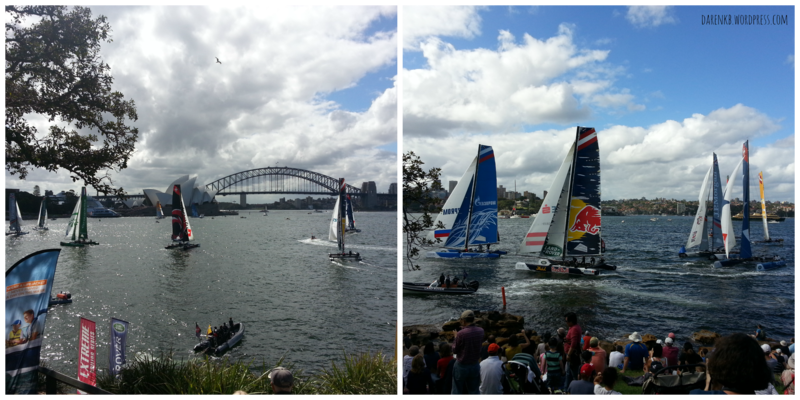 The event was part of the Extreme Sailing Series which has heats around the world, this weekend in Sydney being the last of 2014. Click here to see some of the highlights. A couple of weeks back I took a drive out to Wisemans Ferry, but the weather wasn’t great so today I decided to take another look. Even on a dull wet day the scenery was stunning so I was expecting so much more today, and it didn’t disappoint. 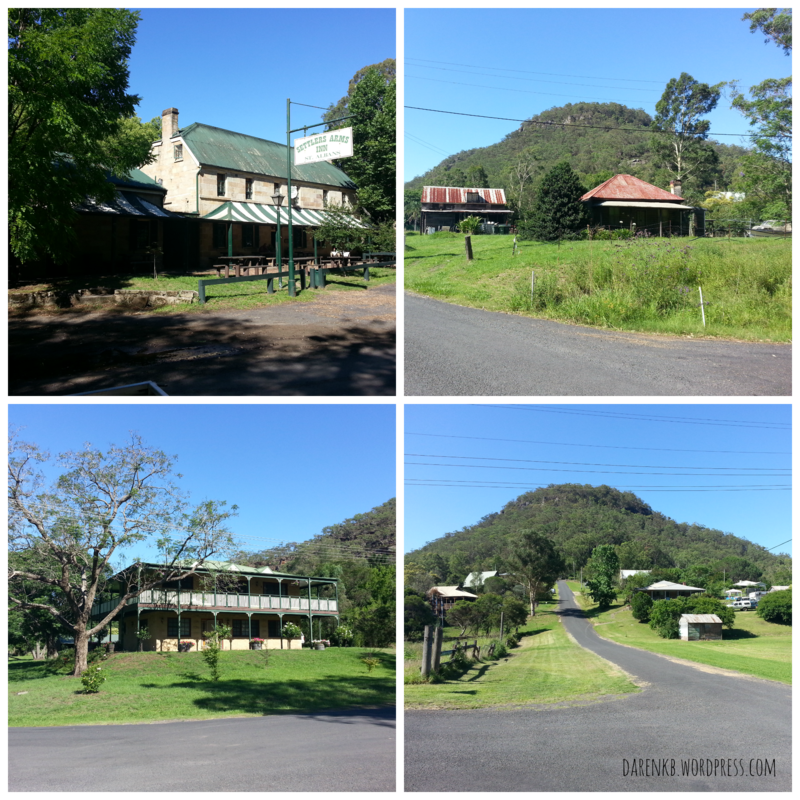 This time I approached Wisemans Ferry from the opposite direction and on arrival took the opportunity for a coffee at the small cafe while watching the ferry move cars across the Hawkesbury River. After a short break I chose to cross the river via the Webbs Creek Ferry which is back up through the village and then turn right. Although the two ferries are reasonably close, they are out of site of each other due to the curve in the river. Once across I was heading for St. Albans, a small village in the Macdonald River valley. The valley had been populated as a farming community due to the fertile land. Close by is the convict built Great North Road which helped the community grow. Life was extremely tough in this remote location with the population consisting of ex-convicts as well as convicts themselves. In later years the area become known as the “Forgotten Valley” by the locals as new roads took travelers away and alternative farming communities were established on larger areas of more easily accessible land. 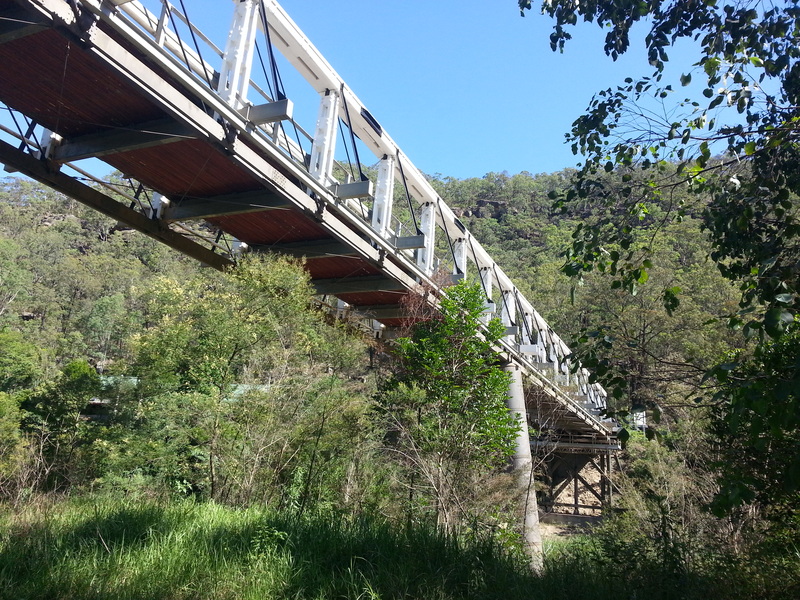 The first bridge across Macdonald River takes you into the settlement. From here the roads north are gravel and disappear off into the remote fields and valleys. Yet another journey for another day. Having spent a little time exploring I took the road south on the opposite side of the river from the one on which I had arrived. After only a relatively short distance I came across two sights of interest. The first was the St. Albans Old General Cemetery. 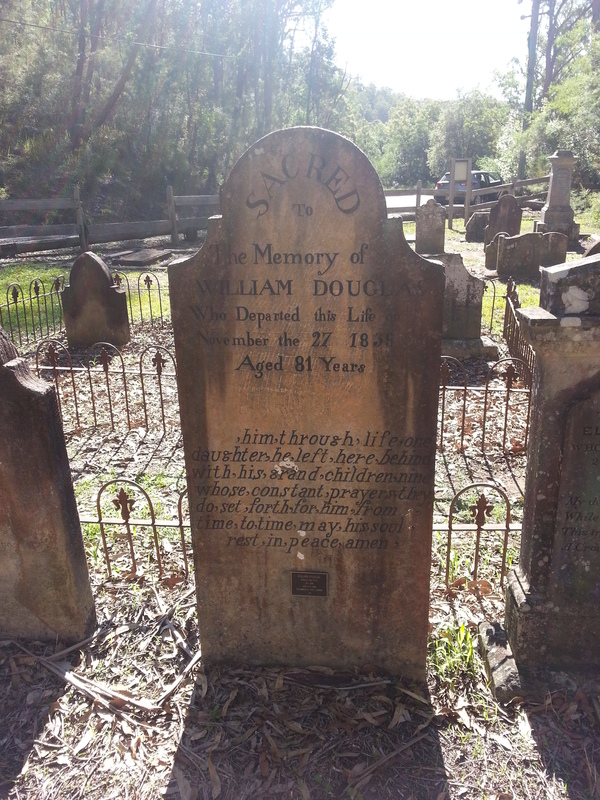 There are inscriptions dating back to 1833, including that of First Fleeter William Douglas who died 27 November 1838. A little further on is Shepherd’s Gully Road which was constructed between 1827 – 1828. Now a walking track it was built by convict labour as a spur to the Great North Road and forms part of the Convict Trail. Each time I see parts of this road I have to wonder at the immense efforts needed to construct it and the extremely harsh nature of the environment in which the men were forced to work for so long. It is all such a contrast to the beauty of the landscape that you see from your air conditioned car as you travel through the region today. On the way back to Sydney I decided to make one final detour. There are 11 Australian convict sites on the UNESCO World Heritage list, one of which I hadn’t yet visited even though it was so close to were I have been staying. Situated in Parramatta, a suburb of Sydney, is Old Government House and Government Domain. The building was started in 1799 by Governor Hunter and then extended in 1815 by Governor Macquarie. It is considered to be the oldest vice-regal residence in Australia. Although too late to visit I did have a walk around the park before calling it a day. A final week in the office and then home in time for Christmas. It has been amazing to have had the opportunity to spend so much time in Australia this year. I have seen so many incredible sights, but what it has also shown me is just how much more there is still to see. All being well I will get the opportunity.